100% Real Chicken – Ready-to-Eat, Convenient Powder Form – No Fillers! 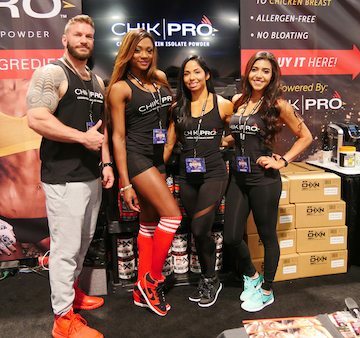 Thousands of bodybuilders, athletes, and fitness fans got a taste of the industry’s first ready-to-eat chicken protein isolate powder, when CHiKPRO™ went on sale at the 2016 Olympia Expo, September 16-17 in Las Vegas. In cooperation with BarnDad Innovative Nutrition™, IDF® provided Expo attendees with samples of savory snacks and gravies made with CHiKPRO™. Nutrition information and other details are available at CHiKPRO.com, with samples and product purchasing online at BarnDadNutrition.com.